"Within each of us is a blending of everything. Most of us can hear the blending of the universe by remembering that there is truth that lies in life... blending allows the truth to come to light. 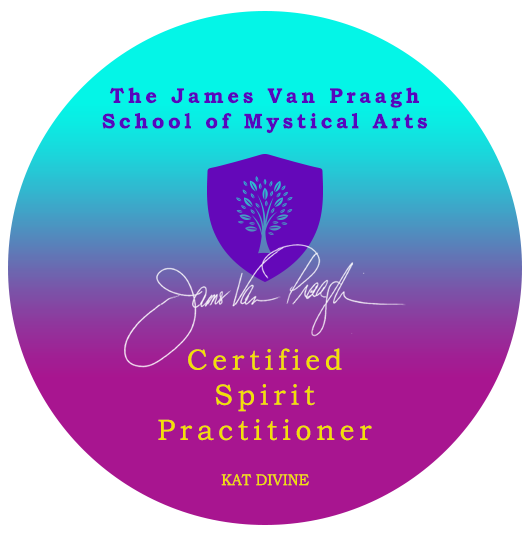 Insist now that I AM that, I AM"
"I Allow, Therefore I AM"
​Kat Divine Live on Hay House Radio with James Van Praagh, "Use Your Intuition To Tune Into Your Pet!" ​Hi Kat, I want to thank you very much for our time together. This has been an extraordinary experience and one that has created a shift in my life as well as my husband. For myself I have lived with chronic pain for several years. After our first session two things happened. One, my neck and shoulder pain decreased immensely and after session two, I had a colonoscopy that came back normal, the entire colon is healthy after 20 years of chronic inflammation. My husband has Parkinson's Disease and after 14 days so far with increased energy and a notable amount of mental clarity. His walk that was shuffled became stronger and his mood more optimistic. You are a blessing to both of us. You have found your purpose in this life and we look forward to sharing our experiences with those who know you and those who need you. Kat gave me a psychic reading that also included information and messages that she is able to give as a medium. The session was amazing! When Kat connected to my Mother whom passed away, she brought up so many things that validated that she truly conveyed messages from my Mother. Kat is incredible accurate! There were no leading questions nor trying to get information from me as Kat spoke to me and, there is no way she could have known any of the things she conveyed to me beforehand. I never met anyone that so quickly and easily could do what she did. Kat's energy is very sweet, enthusiastic and uplifting. She comes across as a genuine person whom loves to help others. It was a great experience. I strongly recommend Kat! Thank you Kat, we will meet again! I wanted to leave a testimonial on a very special healing session I experienced with light worker Kat. Kat has a warmth and authenticity to her spirit that you can feel upon meeting her. 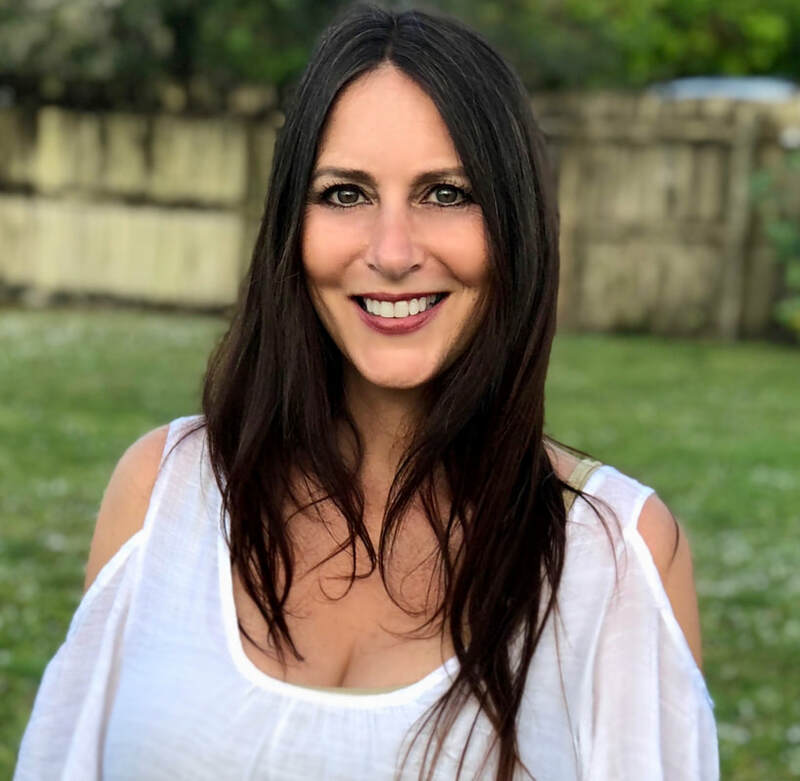 She is a mix of kindness and strength, bringing a beautifully safe and uplifting energy to the interactions she brings and work she conducts. As Kat began her setup in my home, she shared with me about the process of healing she'd be sharing and had such a truly great way of explaining everything that made sense. I felt an excitement for our session before she even began her work, as I could feel the lightness, beauty, and healing gifts she shares. During our session, I could feel this heavy weight being lifted from my body at various points and this flowing of healing going in through my body. Being in chronic pain from spinal injuries, this was such a welcome relief from pain. There were several times where I was moved to tears of gratitude, KNOWING this weight of pain was being pulled from my physical body while I was being nurtured by those who love me above. Over the week follow our session, I felt a bigger sense of calm and overall upliftment of my happiness. I felt more patient in my ongoing a and had more rested sleep. My body felt taller and longer, like my spine was being lifted and released a bit from the gravity of the earth. I felt an openness around my face and head, like I had been opened up to receive the love that comes FOR US, from above and in a very energetic and spiritual sense. Kat has a gift, a skill, and shares this with such love and professionalism. I feel gratitude and lightness thinking about the work she's done for me. It was a wonderful, helping, light filled session she shared with me. I am thankful." My mother, a 91 year old woman, with severe arthritis in her back, knees and hands, was treated by Kat in three consecutive times. ​The first time, my mother felt that her hands didn't hurt them so much after the session, and was able to support herself better from the walker. The second time, was not much the change, but she was able to sleep better, and that helped her with her overall health. But, on the third session, my mother felt so good in general, that was amazing. ​She is continued feeling stronger, happier, with more balance on her walk and in general with less pain. ​All in the family are very thankful to Kat for working with my mother in the moment that she was just giving up with herself. She had taken so many medications and therapy in the past, and nothing helped her like this. ​Thank you very much for your blessing hands. Kat did a reading bringing thru my husband in great detail; information no one knew not even my mother-in-law. She is a very talented medium....I highly recommend her!